Salisbury Road, Ealing. 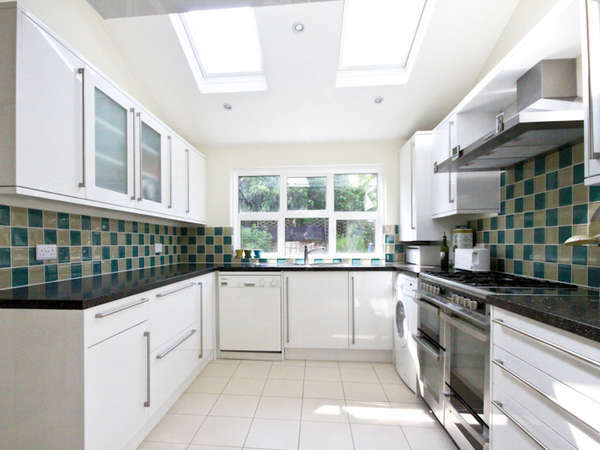 This 12 week project included a full refurbishment of the kitchen and conversion of the loft. We altered the kitchen ceiling to add Velux windows making the room much brighter and the gloss white cabinets reflect the light throughout the room. There was more space for the dining table and chairs and even a new coat cupboard in a contrasting cabinet front gave definition to the separate areas of the room. The loft room and ensuite bathroom made an excellent new master bedroom. This freed up one of the other bedrooms for use as a home office.